In this case, our fact table has 3 dimension keys CITY, PRODUCT and MONTH. And, we also have 2 more columns SALES and COGS where both of them correspond to measures. 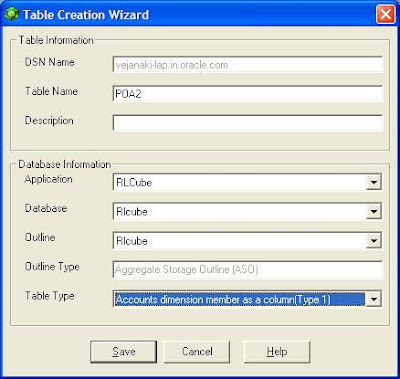 If you have data in this format then use this load technique to load the data into the Essbase Cube/Database. 2. Type 2 – Here all the dimensions are treated normally and the measures are populated in a single column. And the different measures are identified by another column. For example, our source table populating the cube should look like this. As you see above, our fact table has 4 dimension keys CITY, PRODUCT, MONTH and ACCOUNT. 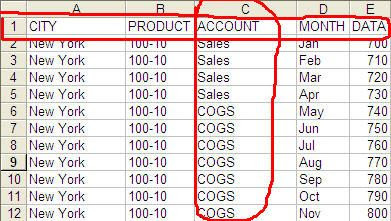 We have only one measure and the type of measure is identified by the ACCOUNT column. So, if you have source data in this fashion, use Type 2 method to load your Essbase cubes. 3. 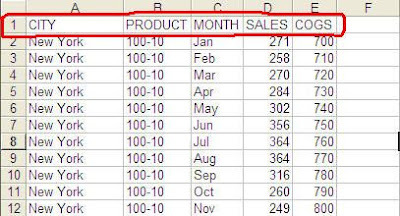 Type 3 – This is for handling value based hierarchies in the source data. So, if your source data contains data with parent child columns (hierarchy is obtained by traversing the parent child columns) then use the Type 3 method to load your essbase cubes. So, import this table into the source. Then import our target Essbase cube (in our case, the dimensions of the cube have already been loaded i.e the essbase cube already has an outline). When you import an Essbase Cube ensure that you are importing it as Type1. And finally, this is how your final cube would look like within Hyperion DIM. Once this is done, just execute the above mapping using the Workflow Manager. 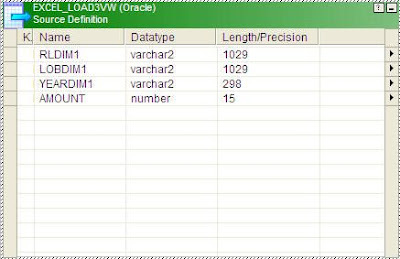 In the session log you can find out how many rows have been loaded and applied. Now, the question is how does this work. 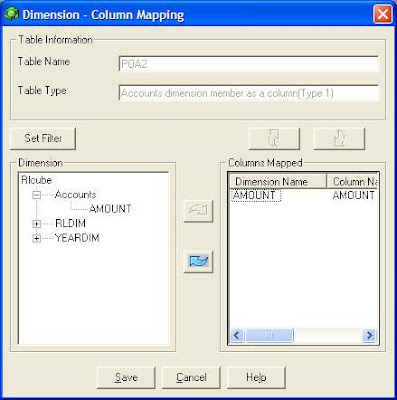 Since, we already have the outline defined, what Essbase Adapter does is it checks the lowest levels of each dimension hierarchy and loads the corresponding data from the fact table. And then it builds up the other summaries based on what summarization has been defined for each of the levels.